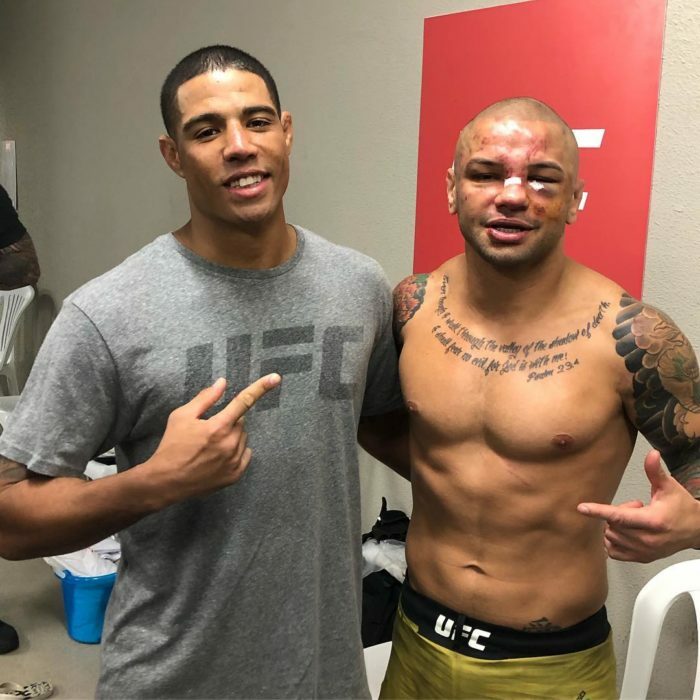 Curtis Millender impresses against Thiago Alves, now wants to "beat up Mickey Gall"
“Curtious” Curtis Millender impressed in his UFC debut when he defeated Thiago Alves in a mostly one-sided affair at UFC Fight Night 126. 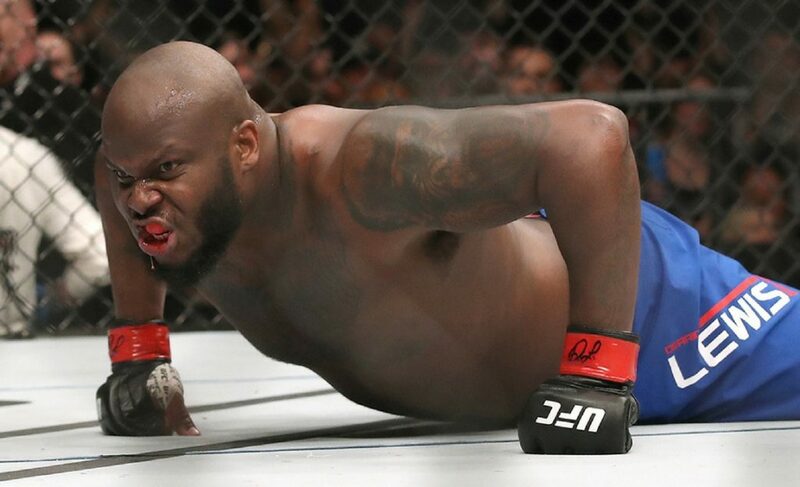 Millender entered the cage at the UFC’s return to Austin, Texas, as a relatively unknown prospect up against an aging star of the past. 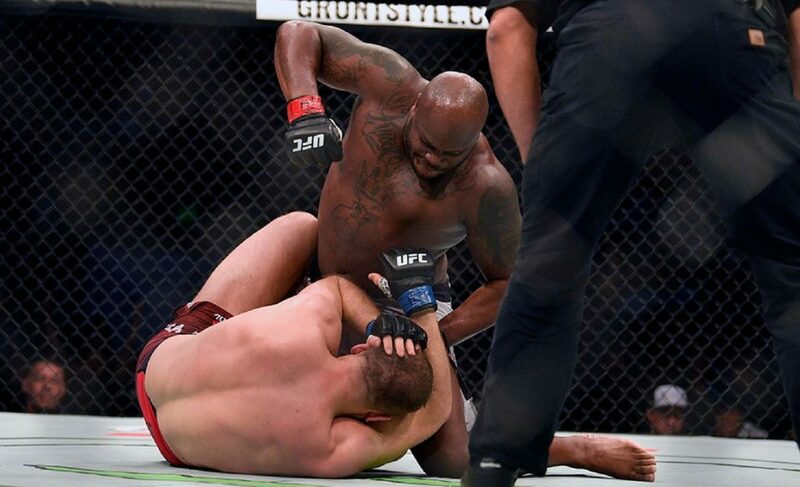 However, Millender seized the opportunity by badly hurting Alves in the first round before finishing him off with a perfectly timed knee in the second round. 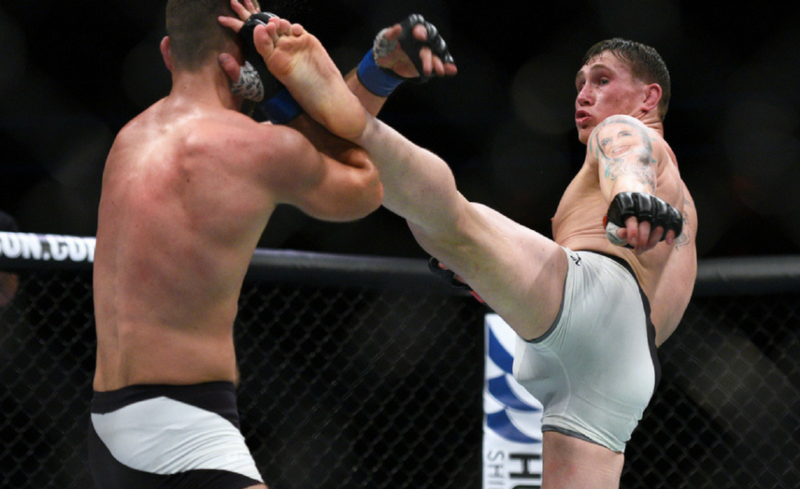 In this matchup between a nearly 13-year veteran of the UFC and a 15-3 mixed martial artist making their debut with the organization, it was Millender who looked like the more experienced and composed of the two. Millender backed Alves up with his physical presence alone before eventually waiting for the right opportunity to launch his strikes. Alves had difficulty solving the Millender puzzle of range (and six-inch reach advantage), timing, and a mixture of defensive techniques. The 30-year-old made his first statement when he dropped Alves with a crisp right-hand counter in the opening round. 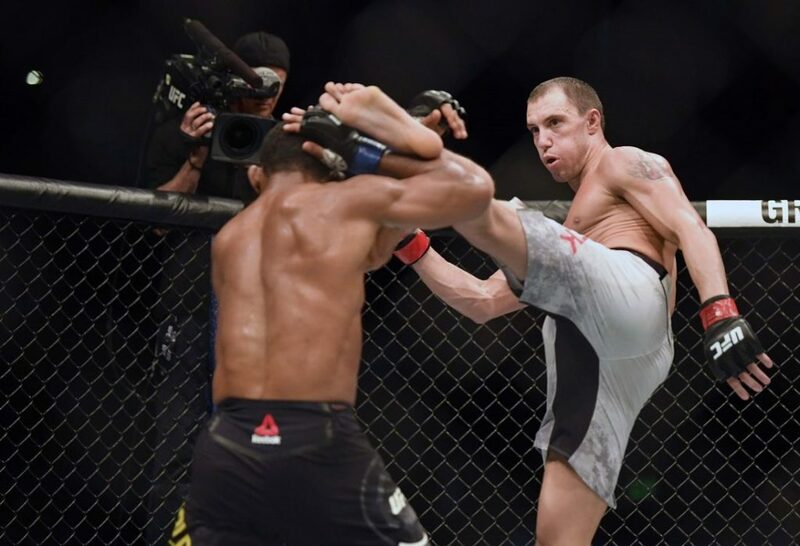 When Alves attempted to kick the lead leg of his opponent, Millender instinctively checked the kick before planting his foot and sending a thunderous right hand back in Alves’ direction. 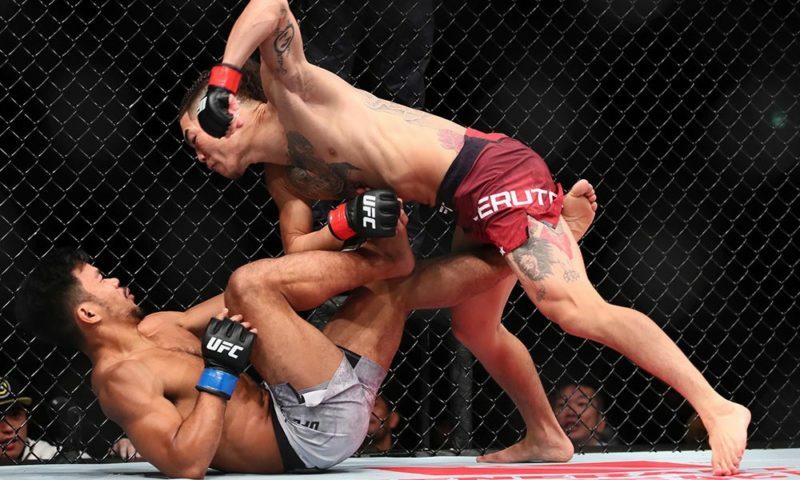 It was a perfectly timed counter that resulted in an efficient use of momentum and force that can be generated by stepping down with the left foot while punching with the right hand. “Curtious” followed up with a devastating uppercut that seemingly had stopped Alves in his tracks. 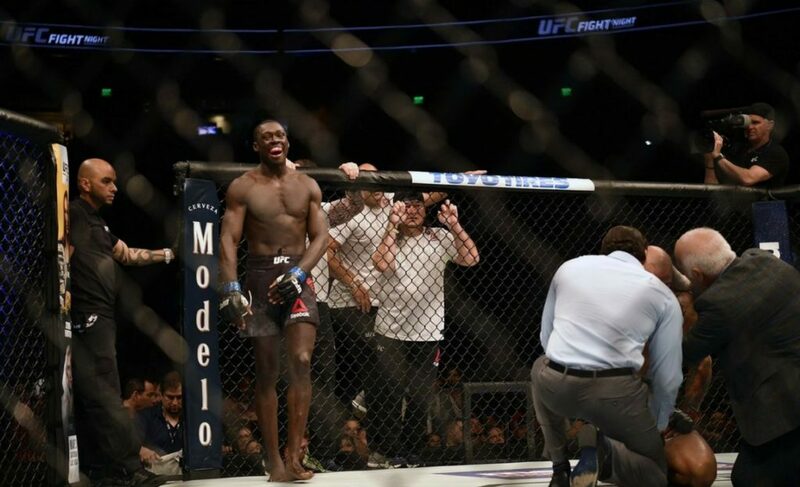 But rather than being the fight-ending moment, it was actually our first glimpse at just how courteous Curtis Millender is. Instead, Alves managed to survive the round (somehow), and that means we were able to see more of Millender’s game. The second round was much the same, which is a testament to Millender’s composure. 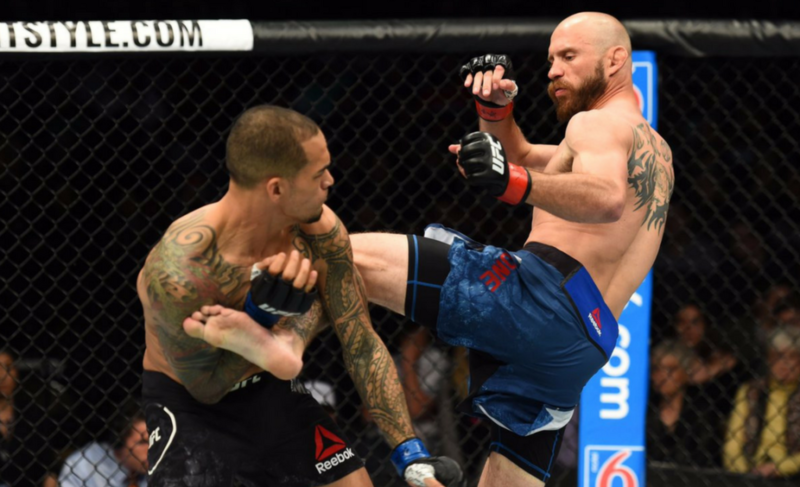 He stalked Alves and backed him down before showing some of his versatility when striking. Millender showcased some of his typically flashy kicks, but also impressed with the way he connected with his straight punches. The finish came at the 4:17 mark of round two when Millender landed flush with a high knee to the chin of Alves. Again, Alves fell to the mat, and Millender chose not to follow up with further damage. This time, however, referee Jacob Montalvo did step in and end the contest. The win marked Curtis Millender’s seventh consecutive victory that now includes competition in five different organizations. 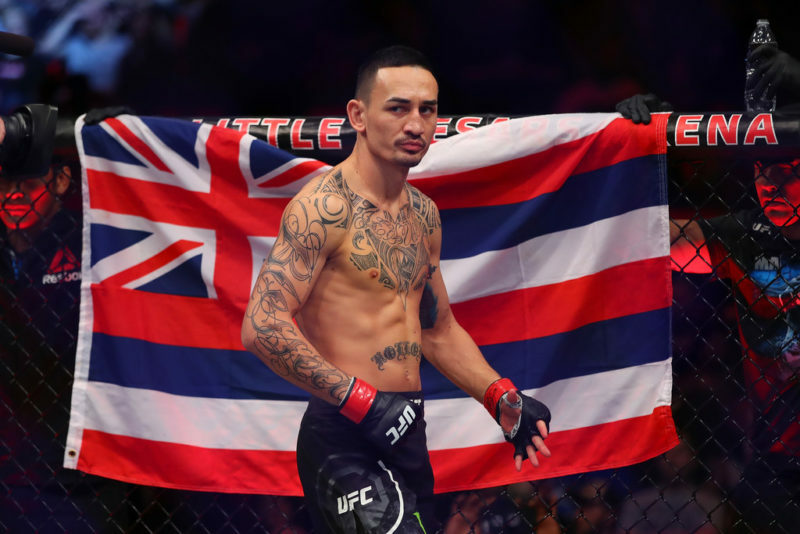 His systematic beatdown of Thiago Alves was a professional and mature performance from the 18-fight veteran, who has now shifted his attention to the rest of the UFC’s welterweight division. Perhaps most exciting of all was his call-out of a particularly well-known unranked welterweight. After defeating CM Punk convincingly at UFC 203, Mickey Gall then defeated Sage Northcutt at UFC on FOX 22 in December 2016. 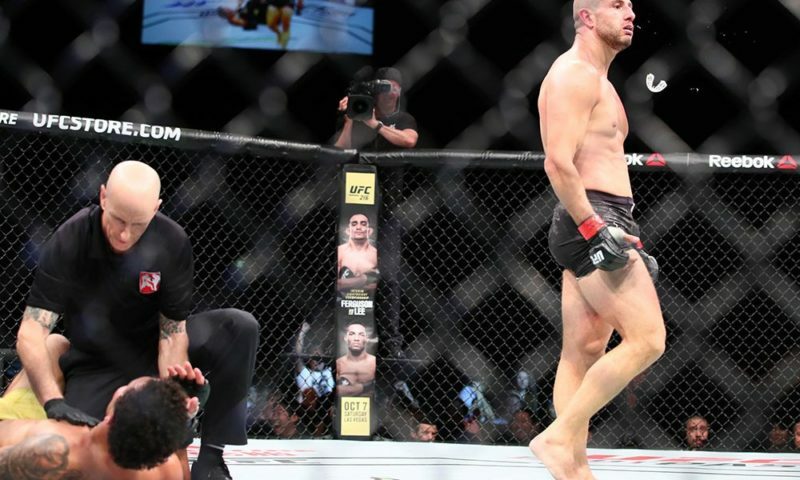 His undefeated streak came to an end when he met Randy Brown at UFC 217 in November last year, however. Could this be the matchup to make for the exciting new welterweight?